(Closed) Ting Bridal on Etsy? Hi everyone, I’m a new member and I just want to say how much I love all the thoughtful comments and suggestions everyone has here! I’m looking into having a custom dress made and I found this designer on Etsy, has anyone here ever worked with her? I absolutely love this dress but I’m pretty nervous about ordering a dress online. Any advice?? Thanks everyone! I’ve never ordered a dress online, so I can’t help, but it’s a nice looking dress! dfontaine07, I haven’t decided yet 🙁 Luckily I have a lot of time but I’m still really torn. 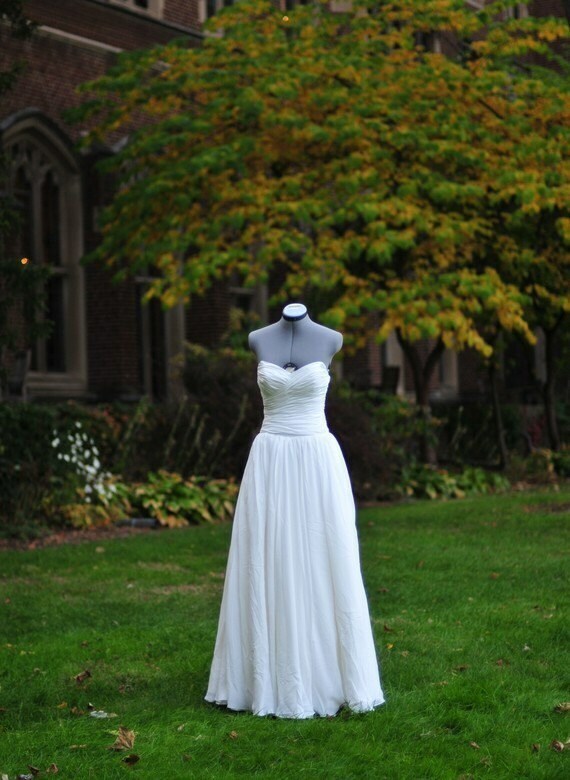 Ting Bridal’s Etsy site just added more really gorgeous gowns so now the decision is tougher than ever! @HeatherM303: Did you ever order from Ting? I am contemplating ordering from her also but just wanted to hear from someone that did. daisyhead: Did you ever end up ordering from her? I’m thinking of purchasing a dress. Ting is awesome she handmade a good friend of mine’s dress and it turned out exactly how she said it would and was such high quality. I definitely recommend her to anyone who wants to support a small business and designer instead of a big chain store! You’ll love the dress. The dress she made for my friend was absolutely stunning. Well worth the price she paid. The topic ‘Ting Bridal on Etsy?’ is closed to new replies.